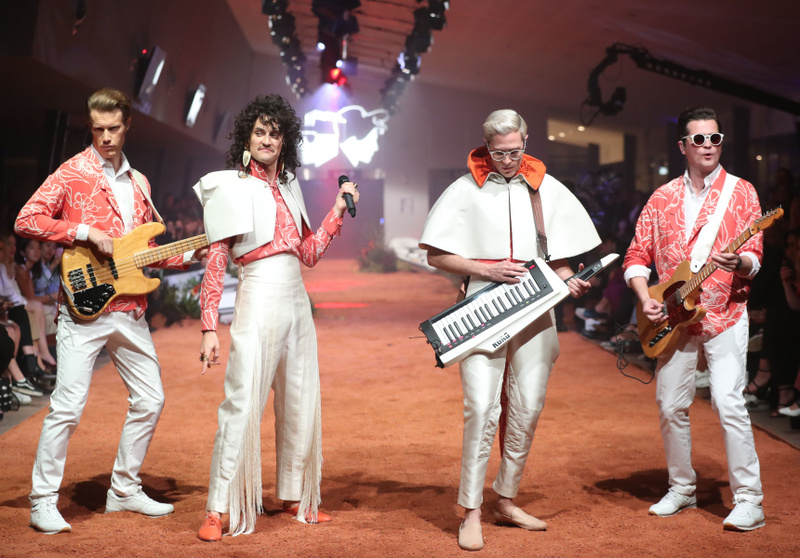 I was STOKED to have been commissioned to create a pair of custom earrings for singer Monte Morgan of Australian Synth Pop cads Client Liaison at the launch of their eponymous 'Client Liaison Deluxe Line' fashion collection at Mercedes Benz Fashion Week 2018. Made of gold mirror perspex, the earrings complimented Monte's fetching Abba-from-the-Future ensemble and performance that rounded up the 80s-tastic runway spectacular. 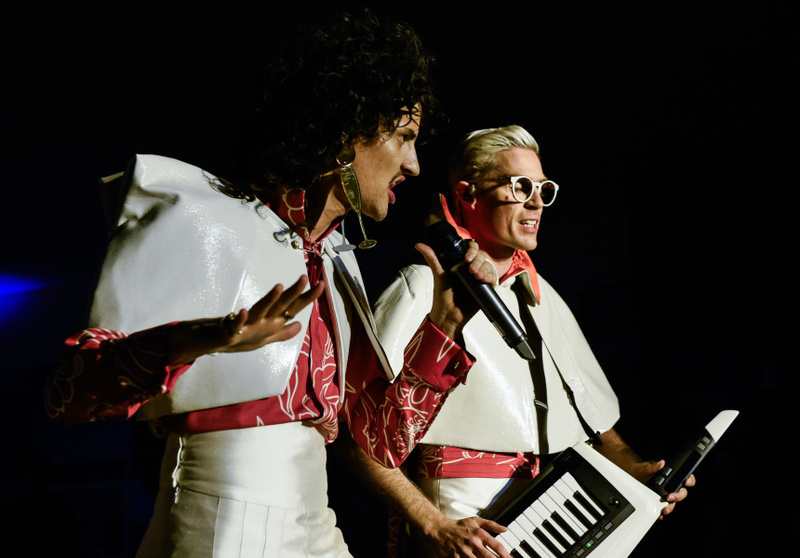 Learn more about Client Liaison's visual and sonic universe here!